A classic silhouette gets its newest update just in time for winter with the 998 New Balance sneaker. ABZORB® cushioning in the midfoot provides shock absorption for wear-anywhere comfort and the suede/mesh upper helps protect your feet from the elements. Finished with a cool color combination inspired by lower temps and you have your go-to shoe for the season. SEE ALSO: Nike Air Max Zero Beige. New Balance Vazee Rush "Black/White".Add to Flipboard Magazine. October 21, 2016 by Sportswearfix™. 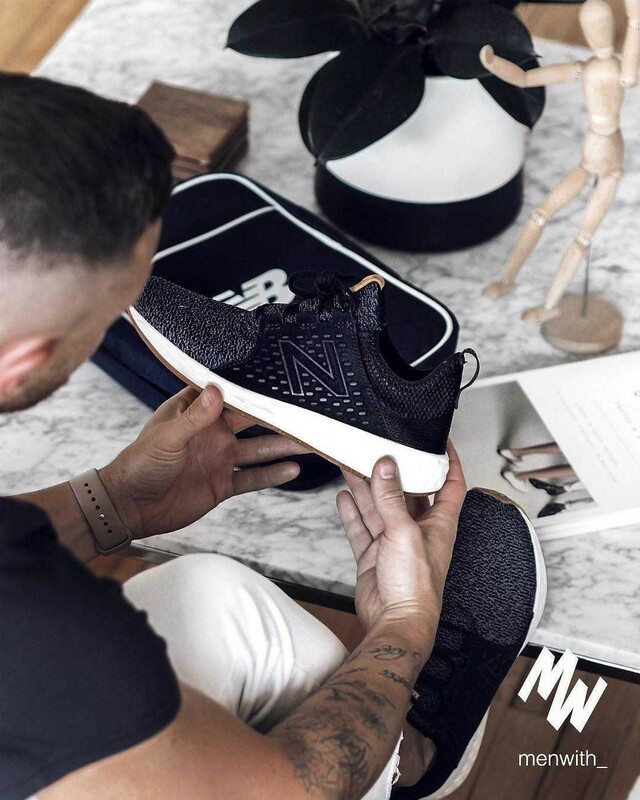 also the details of how the reconstructed heel and embossed logo, provide a modern but still adventurous look - the MLRUSHHC of New Balance.